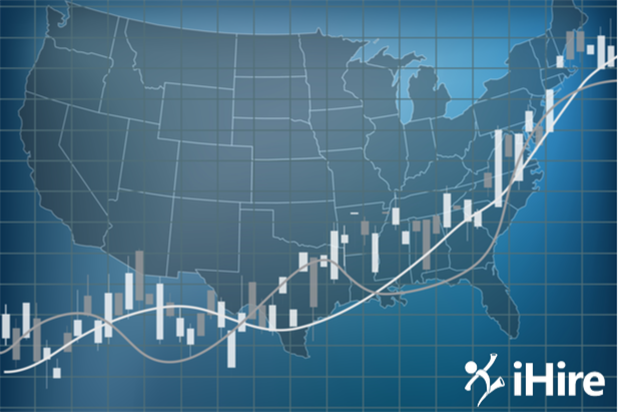 Find out what the real earnings report has to say about US salary data. The US economy has seen significant wage growth for several months in a row. However, according to the October 2018 real earnings summary released by the Bureau of Labor Statistics (BLS), this rise in the average hourly wage in the US is largely undercut by a corresponding jump in the consumer pricing index for all urban consumers (CPI-U). While average hourly earnings rose by 0.2%, the CPI-U increased even more (0.3%), which indicates growing inflation. As you can see from the chart above, US salary data collected by the BLS has shown fairly consistent wage growth since the second half of 2015, and this increase continued to impact pay and benefits in 2018. A steadily rising average hourly wage in the US is great for the economy and American workers, but looking at the real earnings report with inflation factored in paints a clearer picture. The second chart shows the CPI-U over the same time period, and it’s easy to see that rising prices have accompanied wage growth. Aside from minor dips here and there, both the average hourly earnings and the CPI-U have increased at nearly identical paces. What does this actually mean for American workers? The final chart shows a more accurate depiction of wage growth by subtracting the CPI-U from the average hourly earnings of all employees. It’s easy to see that rather than the 2.5%–3% growth shown in the first chart, in reality wages for Americans are increasing at a much slower pace or – in the case of January 2017 and July 2018 – not growing at all. Generally speaking, the US economy is in good shape. The most recent jobs report showed 250K jobs added in October and an unemployment rate of 3.7% (the next report comes out on December 7th). Wage growth is also promising. However, without the added context of inflation numbers, the picture can seem a bit rosier than it truly is. Are you looking for a better paying job? Use iHire’s job search tools to customize your search according to your salary preferences or learn how to negotiate for a raise (and how not to).